Located only 20 minutes from Louisville Metro, Oldham County is known for its beautiful land, great school system, and quaint downtown shopping and restaurants. From Louisville, Oldham County is accessible from I-71. Cities that are located in Oldham County are Goshen, Buckner, Prospect, Crestwood, La Grange, Pewee Valley, River Bluff, Park Lake, and Orchard Lake Hills. 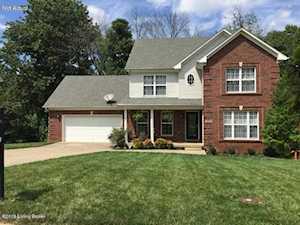 There are many homes for sale in Oldham County. 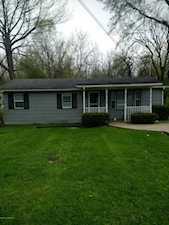 The Hollinden Team updates this search for Oldham County houses on a daily basis from the Louisville MLS. Feel free to use the Advance Search Tools of our Louisville MLS to find other homes for sale in Oldham County. 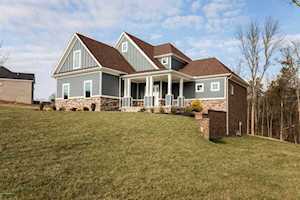 Click the map to the left to view each home in Oldham County for sale. There is a satellite view button in upper right. Oldham County is a common place for people to move if they want to be close to Louisville but wants a little bit more acreage. Here is a list of a few Oldham County neighborhoods that offer one acre or more per lot: Buckeye Trace, Darby Pointe, Duncan Oaks, Estates of Hunting Creek, Grand Villa, Harrods Crossing, and Hillcrest. Oldham County is also home to a unique neighborhood called L’Esprit. L’Esprit is an equestrian development with around 5,000 acres of farms for horses. L’Esprit also offers over 20 miles of private horseback riding paths by Harrods Creek. As of July 1, 2015, the population in Oldham County was 64,875. In 2014, the median household income for Oldham County was $84,447. Approximately 91.9% of people in Oldham County have a high school diploma or higher and about 39.8% have a bachelor’s degree or higher (United States Census Bureau). Belknap Beach Estates- Belknap Beach Estates is a special gem of a neighborhood located in Oldham County on Twelve Mile Island on the Ohio River. Homes in Belknap Beach Estates range between around $330,000 to $1,000,000! The age of Belknap Beach Estates homes varies. Some of the homes were built as late as the 1950s, while others are a little newer and were built in the 2000s. Borowick Farms- Borowick Farms is a subdivision located in LaGrange off of I-71 North. Construction of Borowick Farms began in the early 1970s and continued on to the early 2000s. In Borowick Farms, you will find various styles of homes from wood ranches to brick quad levels. Typically, houses range between the mid $100,000-$400,000. Covered Bridge Farms- You can find Covered Bridge Farms off of Highway 42 in Oldham County. Construction of this neighborhood began in the late 1980s. In Covered Bridge subdivision, you will see mainly brick homes. There are a few homes that are wood but mainly you’ll see brick homes. The price range for homes in Covered Bridge is $200,000 to $340,000. 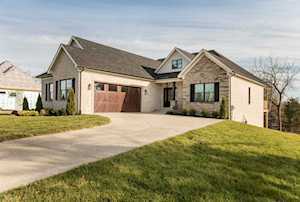 Gleneagles Estates- Located off on I-71 North, you will find the beautiful subdivision known as GlenEagles Estates. Homes in GlenEagles Estates began to be developed in the early 1990s to the 2000s. The price range of this neighborhood is $250,000-$550,000. Generally, most homes in this subdivision are all brick but each home has its own character. 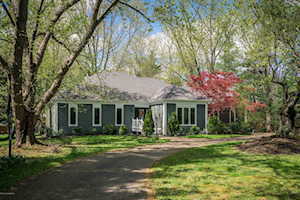 Harmony Landing- This established Goshen neighborhood is located off of Highway 42. Harmony Landing began development in the 1970s and continued developments in the 1990s. Homes in Harmony Landing are $160,000 to $880,000. Homes in Harmony Landing have various construction types such as brick, log, stone, and stucco. Harrods Crossing- Take Highway 329 to Highway 1694 and you’ll find the stunning neighborhood known as Harrods Crossing in Crestwood. Harrods Crossing homes were developed in the 2000s. If you want to live in Harrods Crossing, you should expect to pay anywhere from $650,000 to $900,000. Harrods Crossing features custom built homes so each home had its own style and charm. L'esprit- Located off North I-71, L’Esprit is a horse lovers dream. Development of this 5,000-acre equestrian neighborhood began in the 1980s and continued on until the mid-2000s. The price range for this neighborhood ranges from $300,000-$3,000,000. If you are looking for tons of privacy, L’Esprit definitely has it. The acreage for homes in this neighborhood can range anywhere from one acre to two hundred acres. Old Taylor Place- Old Taylor Place is a lovely neighborhood located off of U.S. 42 in Goshen. Development of Old Taylor Place began in the 1970s. You’ll love the beautiful mature trees and beautiful spacious lots. Old Taylor Place is in a more secluded area so it is very private and quiet. Most of the homes in Old Taylor Place have at least one acre of land. Houses in Old Taylor Place usually range between $260,000 to $650,000. Williamsgate- Williamsgate is a fairly new subdivision of family homes just west of downtown Crestwood, KY off Highway 22. Ball Homes is the builder and developer of this subdivision. Most all of these homes will have four bedrooms and 2,500 to 3,000 above grade square feet. Houses range from $250,000 to $380,000 in this neighborhood and will have brick fronts. Oldham County has plenty of great shopping. Most of their stores are boutique style and exclusive to Oldham County. Some of the great boutiques you can find in Oldham County are Bargain Rack, Bobbi Lynns Boutique, Clothes Boutique, Kaelis Kloset, Millies Furniture Consignment, Clover Cottage Antiques & Home Furnishings, and Mercantile on Main. If you are looking to shop more at a shopping center or mall, The Paddock Shops and Mall Saint Matthews in Louisville are not too far away. Oldham County is also home to delicious dining. One of the most well-known restaurants in Oldham County is Serendipity Café. Serendipity Café is best known for their delicious desserts. If you ever get a chance to stop by, make sure to try out their chocolate dipped Twinkies! Oldham County also has some great BBQ restaurants to choose from. The three most well-known BBQ restaurants are Big Rs & Shannons BBQ Shack, Jucys BBQ, Texicans BBQ Pitt. Big Rs & Shannons BBQ Shack is considered to have award winning barbecue. A few other notable restaurants you may want to try are Cornerstone Grill, Knock on Wood Country Merchantile & Café, and Burning Bush Grille & Mediterranean Café. Oldham County offers a wide array of golf courses. Some of the golf courses in Oldham County are Oldham County Country Club, GlenOaks Country Club, Hunting Creek Country Club, and Eagle Creek Golf Course. Nevel Meade and Eagle Creek are public golf courses. Hunting Creek is a private golf course. Oldham County Country Club is a semi-private golf course. In 2014 and 2015, Oldham County Golf Course was voted the best golf course in Oldham County. Oldham County has nine elementary schools, four middle schools, and three high schools. There is also one alternative school in Oldham County. The Oldham County school system has received several awards for achievement. More about Oldham County school quality. 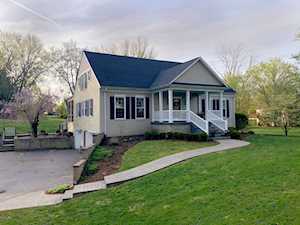 If you would like to learn more or have any questions about any of these Oldham County houses for sale, just click the "Request More Information" button on any property detail page. The REALTORS at the Hollinden Team can provide you with past sale information, comparables, disclosures, PVA assessment, and tax information – we would love to answer any real estate questions you have.